Victoria lost a two year old toddler in 2013, after she became entangled in a window blind cord and it’s a tragedy that can be avoided in the future. Brett Thomas from The Blind Factory believes awareness is the key to saving young lives. “When families renovate or move home, blind cord safety can be easily forgotten in the chaos of packing and unpacking, but a tragic scenario with a child’s life is 100 per cent avoidable. “We have legislation now that helps, with hefty fines and court action for failure to comply but blind providers need to install the right equipment and parents must ensure the cords are always safely stored,” he said. The Blind Factory fit all blind and curtain cords with a safety device that removes any slack from the cord, in addition to fixing the device to a height unreachable by small children. Brett added there were additional things parents could do to reduce the chance of harm to small children. “Cots, beds, change tables, desks and chairs should not be near window cords or curtains and any cord length should be bundled into an appropriate device and fixed to the wall where it is reachable only by adults,” he said. The Australian Government advise that the bottom of any cord should be over 1600mm from the ground, ensuring small children cannot reach the cord. For families who already have blinds or curtains installed, Brett recommends a safety check and a visit to the local hardware or curtain store to install the correct device if required. For families looking to install blinds, Brett advises buyers to make sure their supplier has the correct safety devices and does not leave any additional cord length. “Ask your supplier straight up if they use safety devices to bundle the cords. Make sure they know there are small children in the house and any hazard is not welcome in your home. “There should not be a moment when a child’s life is compromised, so as soon as the blinds are fitted double check the safety features to make sure your child will be safe. “For children old enough to understand, make sure they know that only parents or older siblings are allowed to operate the blind cords or curtains,” he said. The Blind Factory are a leading Victorian supplier of made-to-measure and made-to-last, quality roller, venetian and roman blinds, shutters and awnings. 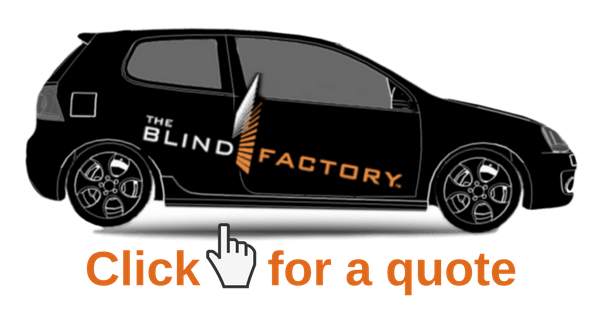 The Blind Factory has the experience and products to suit every home and offer an industry leading five year warranty and free consultation.